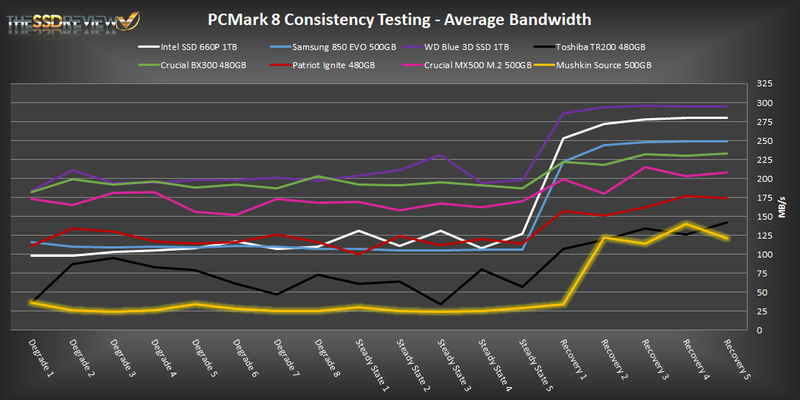 In PCMark 8 the Mushkin Source attained an overall score of 4916 points and averaged 198MB/s in bandwidth. This places the Source near the bottom of our chart, smack dab in the middle of the Toshiba OCZ TR200 and Kingston UV400. 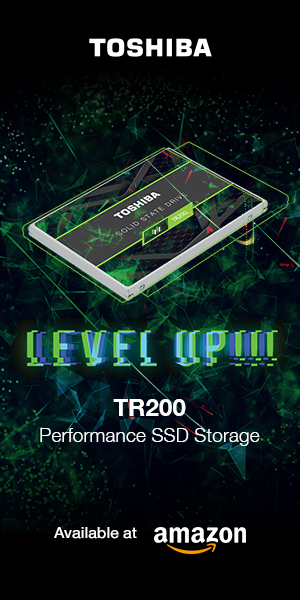 The TR200 is also a DRAMless SSD, but the Kingston UV400 boasts a DRAM design. 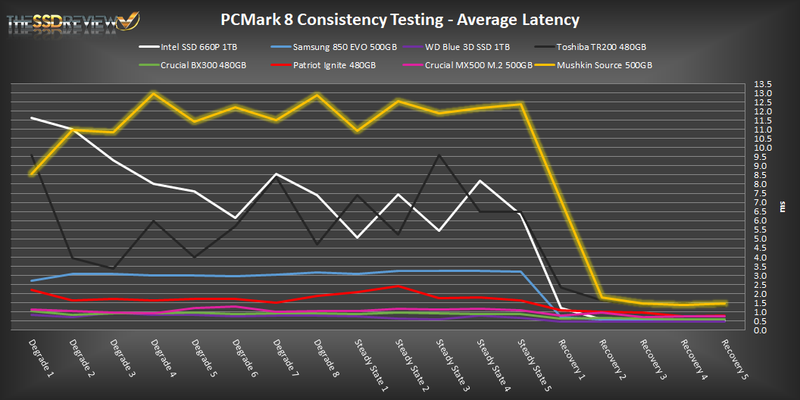 For our last benchmark, we have decided to use PCMark 8 Extended Storage Workload in order to determine steady-state throughput of the SSD. 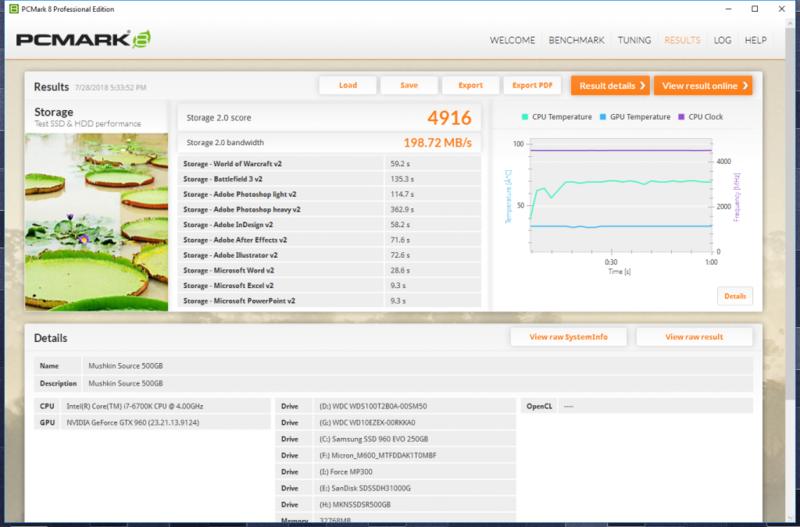 This software is the longest in our battery of tests and takes just under 18 hours per SSD. As this is a specialized component of PCMark 8 Professional, its final result is void of any colorful graphs or charts typical of the normal online results and deciphering the resulting excel file into an easily understood result takes several more hours. PCMark 8 provides a slightly different measurement, however, that we are terming as ‘Total Storage Latency’. 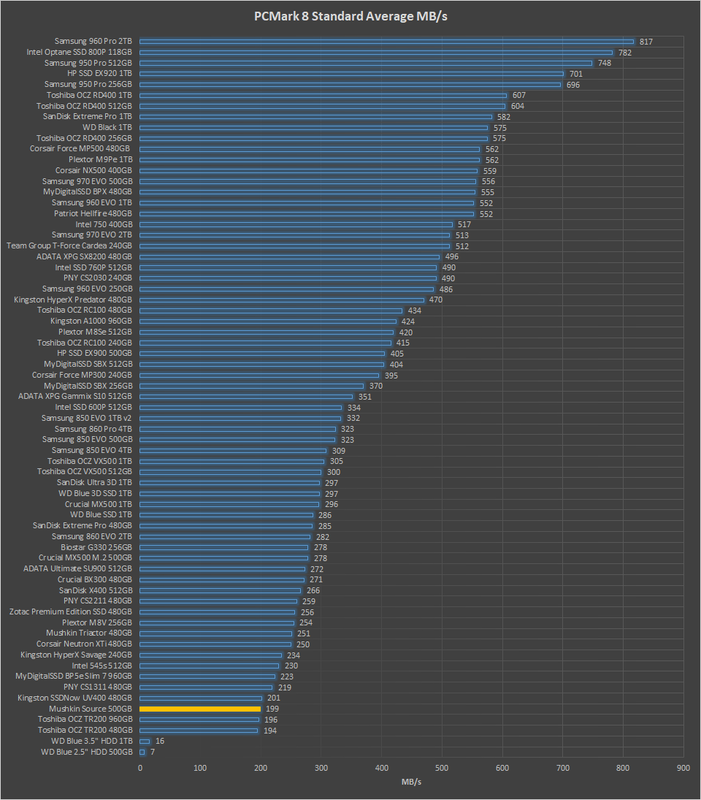 This is represented as being the period from the time the last command was completed until the time it took to complete the next task; the difference, of course, is that the execution of that task is included in ‘Total Storage Latency’. For both latency graphs, the same still exists where the lower the latency, the faster the responsiveness of the system will be. While both latency charts look very similar, the scale puts into perspective how just a few milliseconds can increase the length of time to complete multiple workloads. 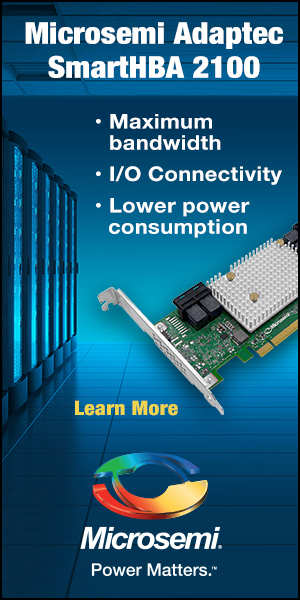 For a more in-depth look at Latency, Bandwidth, and IOPS check out our primer article on them here.